Does the thought of starting a blog fill you with dread? Then keep reading. I promise you it isn’t half as scary as you might think. You just need to find a blog blueprint that works for you, and you’ll be off those starting blocks in a flash. Here are a few pointers to get you started. If you have a WordPress website then this is the ideal place for you to start your blog. Having it on your website means that any visitors can instantly see you’re an expert in your field, get to know you through your content, and it allows them to see your personality without committing to a phone call/appointment/investment with you in the early stages. If you have no idea what to write about then think of the different ways you can help your potential readers, soothe their pain, or educate them. Do you often get asked the same kinds of questions? Use your answers as blog content. You could also share your business/personal journey. People love hearing about people and this will also break the ice with anyone who is thinking about working with you. To make this blog starting process as underwhelming as possible, and to stop those procrastinating mind monkeys firing up, set yourself a word count target of 500 words. Break these into 5x100 word paragraphs (Introduction + 3 paragraphs – such as 3 top tips or 3 things to avoid or 3 reasons why you should – + Conclusion). And to make it even easier for your first blog, try writing 3 top tips and you won’t really have to think about the content too much. It should flow naturally. There are lots of places to find free stock images (but please always make sure you check the copyright on ANY images you upload to your website or you could get a big, fat fine). Try pixabay.com or unsplash.com or pexels.com. If you want a wider range of photographs, then take a look at the paid options such as Shutterstock.com or Gettyimages.com or Dreamstime.com. But be warned… you’ll got sucked in by all the pretty pictures (and ideas they spark) and before you know it an hour will have vanished! Okay, so it looks like you’re almost there! Now you need to upload your new blog content to your site and give it a good read through. Check what the post (blog) looks like on your website and make any extra spacing tweaks so it isn’t all jumbled up together. Once you’re happy with how it looks and you know there are no glaring errors/typos, press that publish button. Don’t overthink it. Just get sharing your awesome expertise and keep on building that blog. Once you start blogging your confidence will really soar. That first attempt might seem scary but, honestly, once you get bitten by the blog bug, you really won’t want to stop. And you can never have too much blog content on your site, so keep writing and publishing! Creating, developing and maintaining your own website can feel like a huge task. Especially when tech isn’t your thing. 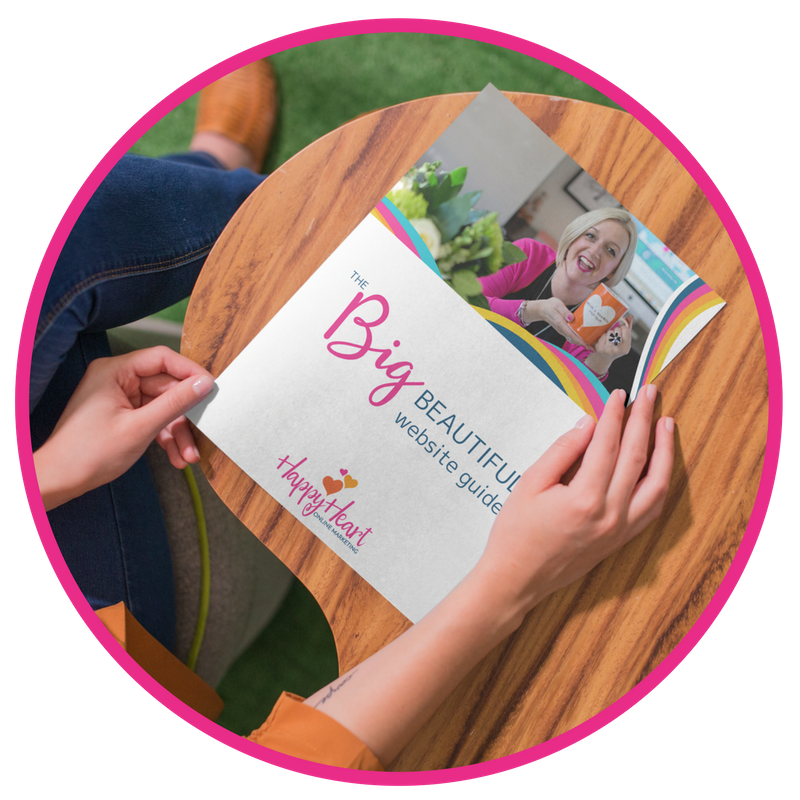 The BIG beautiful website guide covers all the get started basics you need to know. 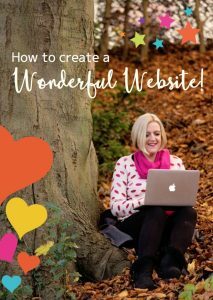 you’ll discover how to manage practicalities (like choosing a domain name, finding out more about hosting, and choosing plugins and WordPress themes) as well as how to keep your website safe and secure, and, of course, looking gorgeous! Whether you’re just beginning to think about setting up a website for your business, or you’ve had one for years, you’ll find heaps of helpful tips, support and advice in this free e-book. Enter your details below to claim your free copy!